I remember back in September of last year getting an email from another blogger asking if they could link back to a post of mine featuring an Express piece. Naturally, I did my research first; checked them out. Made sure they weren't some random spammer trying to offer medical care from another country. She was legit and clearly, we both shared our love for Express. Little did I know, when I started shopping at Express in junior high, that my love for the store would lead to not just a blogger friendship, a *real life* friendship. We chat via email or text every day, and it's great to have a fellow blogger to vent to, get advice from, or just shoot the crap with. Imagine the possibilities when we finally meet in real life! Look out, world! I could think of no one better to spearhead my week of guest posts; she knows the fashion side of me probably better than I know it myself! And here she is, my partner in crime, Gina, from On the Daily Express! 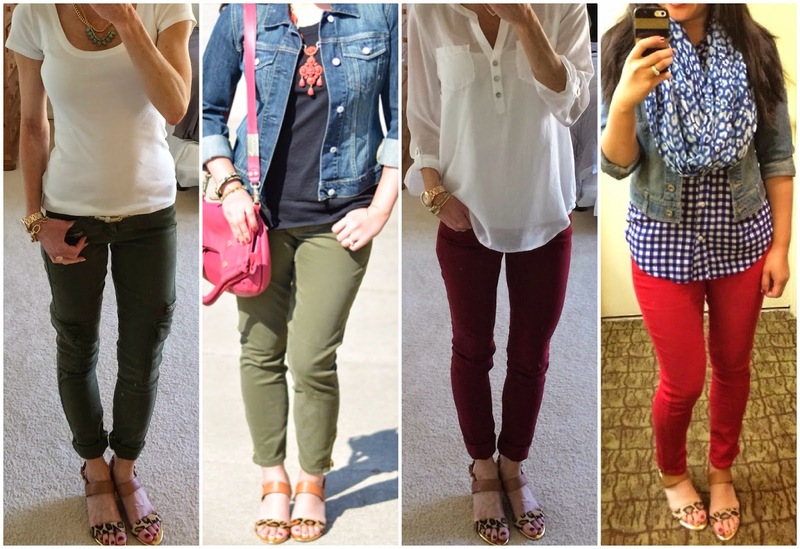 So today I'm guest posting about Pieces of Her: all the things in my own closet that make me think of Carylee every time I see and wear them. 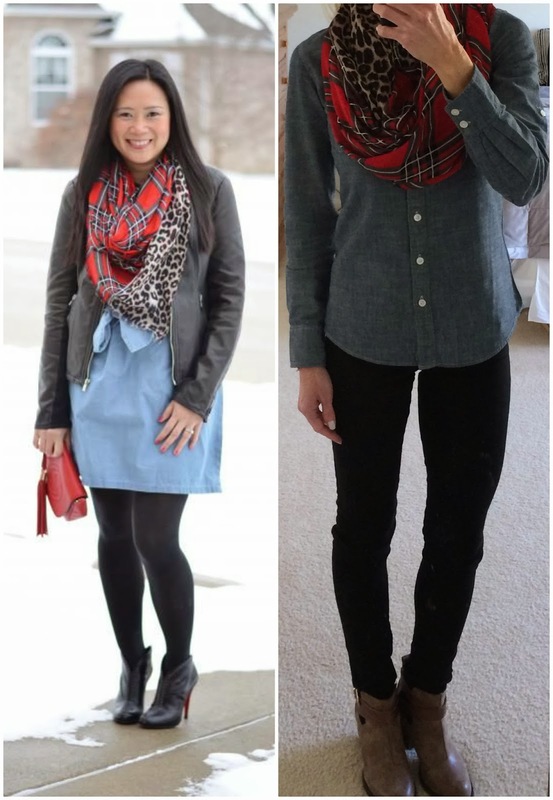 You may have noticed in the outfit above we're also wearing the same scarf. She made me to get that too. Unfortunately it's sold out now, but I have a lot of other scarf overlap with her so I can steal more of her styling ideas. (I fully admit I lack originality- you can read my entire confession about it here.) Sometimes I'm not sure who got which scarf first, I just know it's handy to have her for style reference. Obviously I have a thing for wedge sandals, so when she gave me a slight push to get the Sam Edelman Leopard Sandals...I didn't even resist. And again, it's nice to lean on her for styling options! Buyer's remorse fades! But buyer's regret never goes away, and obviously she only wants to keep her friends and readers from needless regret! My closet sincerely thanks Carylee for this valuable lesson and all of her shopping and styling guidance...even if my wallet doesn't! This is the reason why I love blogging so much. I started my blog about 4 years ago and since then, have met a few wonderful fellow bloggers. I truly enjoy this post. Have a wonderful rest of your week! You are so fun Gina! 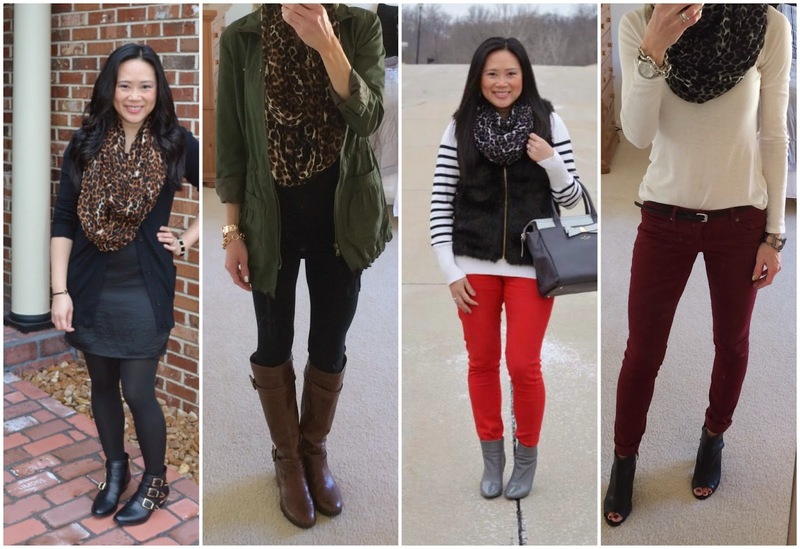 I love your blog and reading Carylee! Seriously hit the mark with regret of not purchasing an item!! However, with buyers remorse I usually just return the item. Great guest post! that chambray shirt does look freaking awesome. 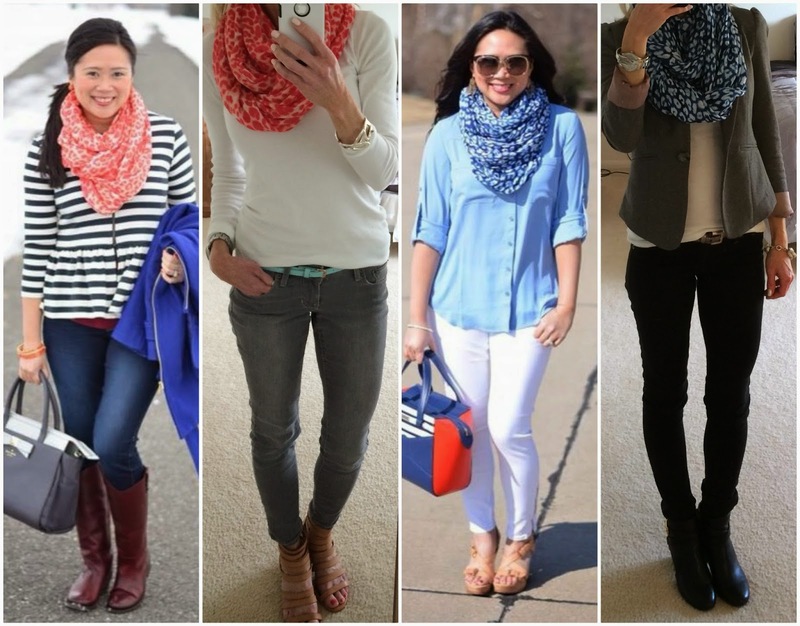 i love all of the scarves! I couldn't think of a better guest poster! Carylee is great for inspiration. I always get great ideas from her even if it's just a color combination. 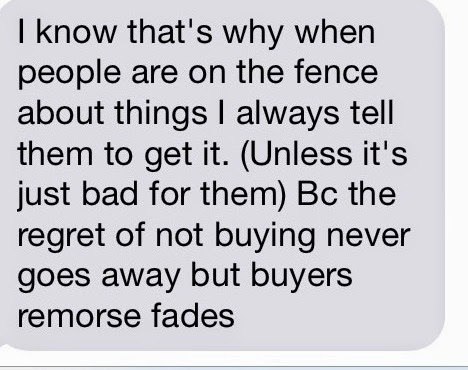 It's nice to have a truthful friend to give advice on purchases. I help my sister and she helps me. This is such a sweet post. It's like a little homage to Carylee. And there's no better person to do it than you, Gina. Love that Sam Edelman sandal! Looks comfy and chic! You two are adorable! Love that you guys turned a blogger friendship, but something more intimate and "real life." This is so fun because I enjoy both of your blogs so much!